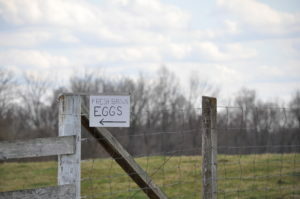 These are the types of small signs for home-based businesses you’ll find dotting the countryside of Hardin County, Ohio. This is a rural swath of the Buckeye State that is far less visited than Holmes and Wayne counties 90 minutes to the east. But this area is definitely worth visiting if you want to experience Amish ambiance without the crowds. The Hardin County Visitors Bureau even has a little driving tour map identifying the Amish businesses. These maps are handy because not every Amish home operates a business and you don’t want to bother someone who isn’t running a business from their property. 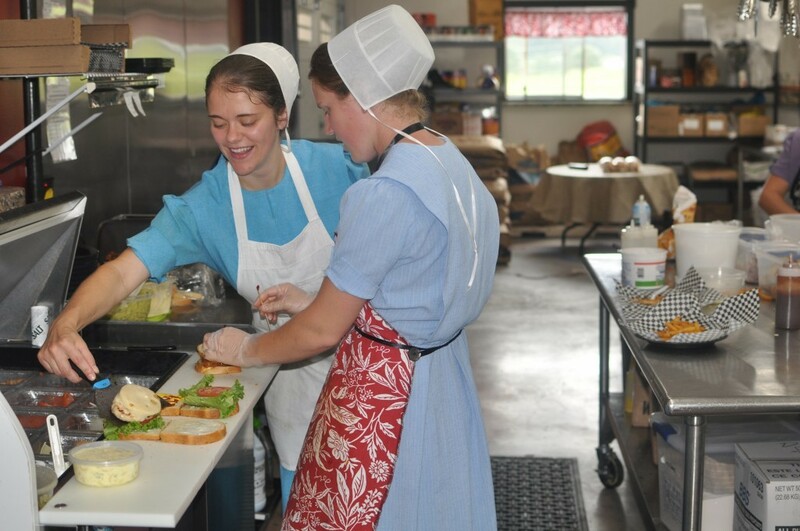 Your dollars, your business help keep these home-based enterprises going and that, in turn, helps preserve Amish culture. I think most Amish would tell you that if farming isn’t economically viable, home-based businesses are the next best thing when it comes to preserving their culture. So, absolutely, go visit, buy stuff, enjoy and make some new friends in the process. Just be respectful. Follow the signs and visit the B-U-S-I-N-E-S-S… Please,do not go knocking on the door of the main house, don’t go traipsing through flower beds, don’t go wandering around to see gardens or pet livestock, and leave your camera in the car. If you see a buggy that you absolutely have to get a photo of or some other non-people photo, just politely ask. But, really, everything I am saying is just basic common courtesy that you’d extend to a non-Amish person. For some reason, some of these minimal tenants of politeness get jettisoned when the Amish are involved. I’m not trying to be preachy, just trying to make a good experience for all involved, including the Amish. There are some really neat Amish-owned shops in Hardin County and you easily just spend a whole day exploring the businesses. This is the inside of an amazing furniture store tucked away in a barn. A father and son team makes all the furniture by hand, made to order. I am going to buy furniture made by Amish craftsman, this is where I would go. Everything is made by hand on the premises. Some of the bigger outfits have become too big in my opinion. Note the really cool wooden child’s toy on the left. You put a marble in a hole in the top and it drops down and lands in each bird’s mouth on its way down. Pretty neat! Yes, Nancy, thanks for the reminder, I’ll have to dig the video up and re-post! love the furniture. 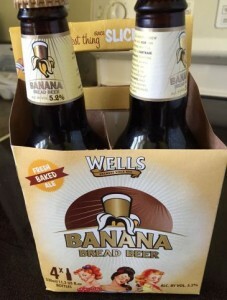 very well made. that toy is way too cute. Is Hardin County a relatively new settlement for the Amish, say within the last 20 years ? My relatives now see a lot more Amish in general around west central Ohio in the last 10 years, including a both north and south of Grand Lake Saint Marys, some north and west of Celina and others south of the Lake. I haven’t heard how much of roadside business any of these folks have however. We would love to see the video and also Kevin, do they ever do any shipping? We are just to far away for shopping on site but would love to have a few of their pieces. They are all beautiful in the photo.